Enter your email address below to receive a notification when Spin Geeks starts accepting new sign-ups! Enter your email address below to receive a notification when Spin Geeks is accepting new sign-ups again. Your Geeky box will be shipped by the 20th of every month. Please order by the by the first of every month to get the current box. 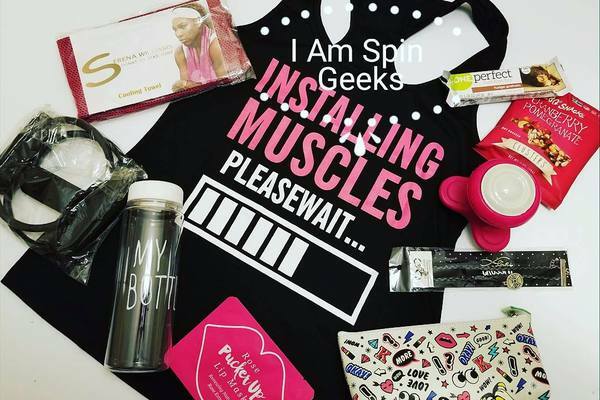 Spin Geeks is a monthly subscription delivering full-sized gym essentials to help you explore the life of indoor cycling/spinning. 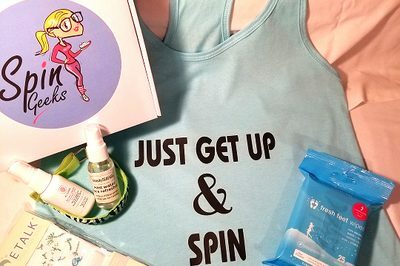 Our box has a combination of products that help promote a healthy (and geeky!) lifestyle. 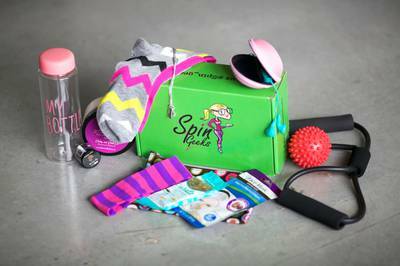 This box is perfect for beginners to explore the possibilities of becoming a spin geek. please read our return policy. I absolutely love this box, it's fun, geeky and worth every penny, I brought 3 of them just for friends, I can't wait to get my August Box, Yayyyy!!!! I really loved this box! The tank was super cute and a great color. Socks were matching color and fun! Good value for the money overall! Ok so at first I was iffy because they are a new sub box but holy jeepers when I received my box it was awesome. I loved everything in the box and I can use all of it. 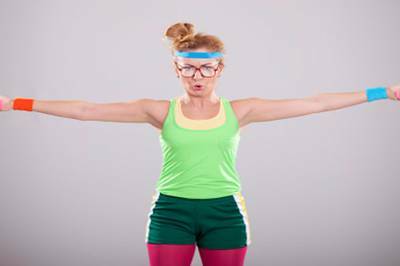 Its a very cute fitness box and that's what I like because yeah we woman go and workout but we want to still have that feel of yeah I'm sweating but I look good doing it. I would definitely get this box again. I really loved everything thank you spin geek. 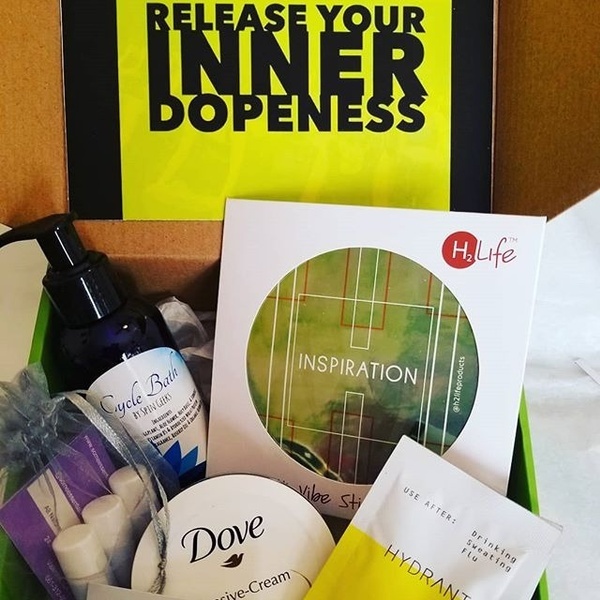 Be Fearless, Our September box was a big hit, Did you get yours? 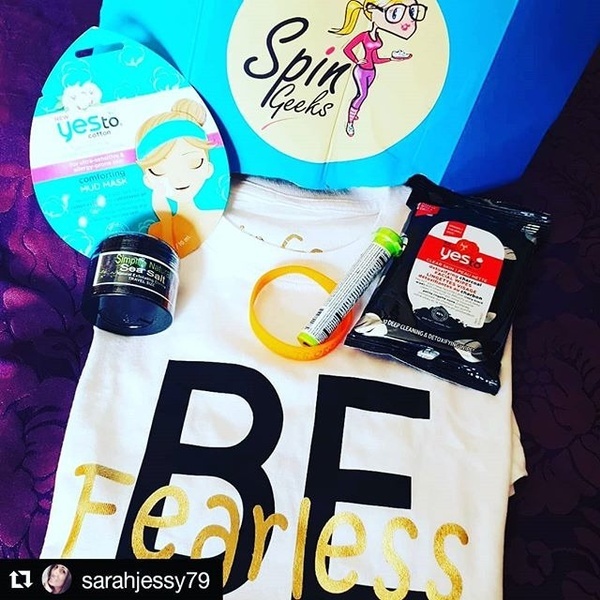 Did you know that our boxes sometimes include motivational tees to help fight the fear of Spinning or cycling?